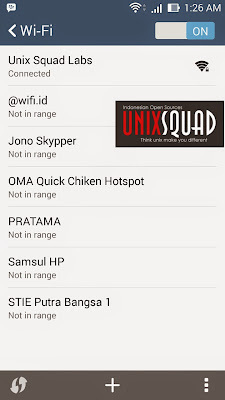 Create Hotspot On Linux Android Supported - As you know, most of your android device (not only android) can't connect to ad hoc hotspots. If you using Windows no matter Windows7 / Windows 8 running in your machine, there's a solution to setup infrastructure hotspot using software like mHotspot, connectify and many others. For Linux users also allows to create wifi hotspot to share an internet connection, but it will be ad hoc mode. So I write this tutorial how to set up infrastructure hotspot on Linux and share connection from Linux to Android device. And this is screenshot which I've take from my ASUS Zenfone 5. 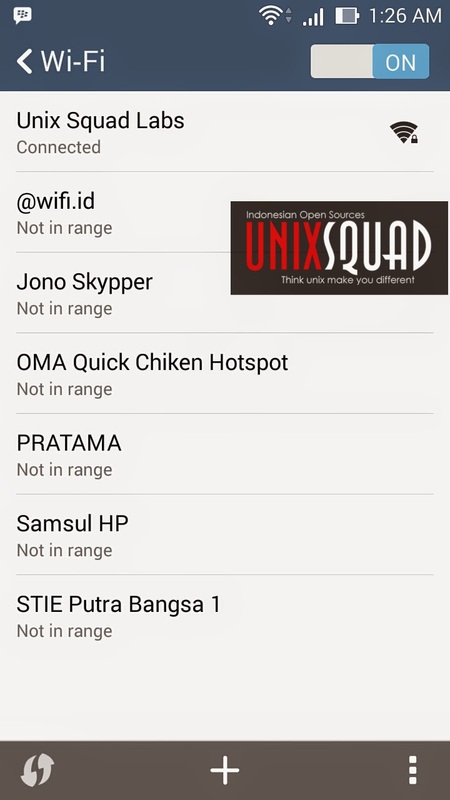 That config will create hotspot named Unix Squad Labs with UnixSquad#123 as password. You can change ssid and password with anything you want. All done, now we just need to create bash code file to launch hostpot that we set up before. Save anywhere and give it name anything you want. And please don't forget save as .sh extension. Probably you need to change eth1 to ppp0 or eth0 or any other number which refers to your wired connection. And now, this time to start and launch it. cd Desktop/LauchNyong/ - Open LaunchNyong directory which bash file to launch hotspot saved. && bash startwipi.sh - Run startwipi.sh file to start hostspot. 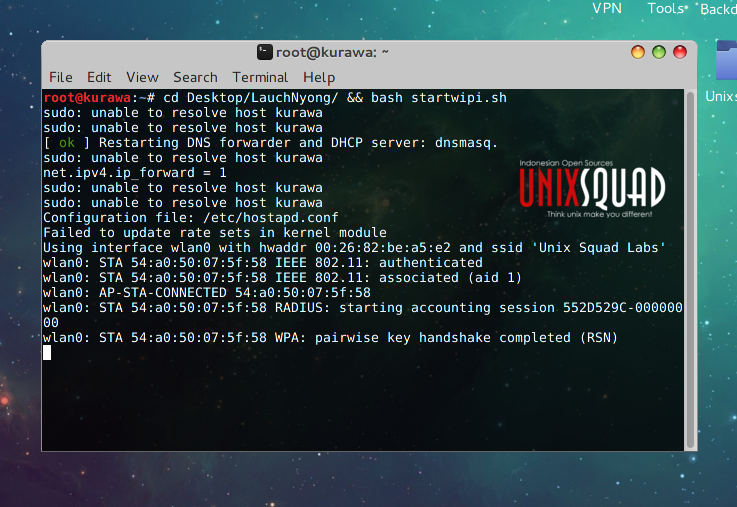 This tutorial tested on my Kali Linux. So, that's all I can write how to set up infrastructure hotspot on Linux and share connection from Linux to Android device. Thanks for visit.